Melasma outbreaks can come and go seemingly at random, but there are sometimes triggers that get overlooked. 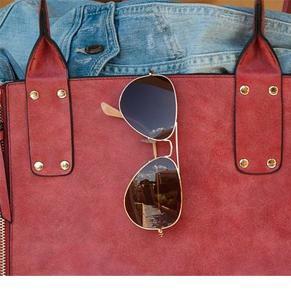 Metal can get hot in the sun, so any metals that touch the skin – for example on sunglasses or possibly belt buckles, domes, bracelets, earrings, watches – can cause an outbreak. There might be overhead bulbs at work or home (think design lamps, factory lamps, heat lamps), grills, ovens, hair dryers or heating lamps. Heat causes the blood vessels to dilate (open wider), which can also contribute to the condition, but heat can contribute to inflammation, which will stimulate melanocytes and melanin production. There are many sources of light these days, including our computer and smartphone screens, windows, highly reflective areas, and car sunroof/windows. If you work in an office with big windows or drive around a lot, this could be a source of UV rays that can trigger an outbreak. Any lights found at home or at work could contribute, since light increases pigmentation. Sunscreens that contain iron oxide block visible light at least partially. Hormones are a well-observed trigger for melasma, but possible sources of hormones include birth control (hormonal intrauterine devices (IUDs), oral contraceptives, hormone therapy and some pregnancy, breastfeeding, and menopause supplements and herbs. Anything containing scent can be a trigger – cosmetics, fragrances, deodorants, soaps. These can cause a phototoxic reaction, and trigger melasma. Thyroid problems, adrenal malfunctions, and chronic stress can cause outbreaks. Anything that triggers melanocyte-stimulating hormone is an issue. Got melasma that won’t go away?